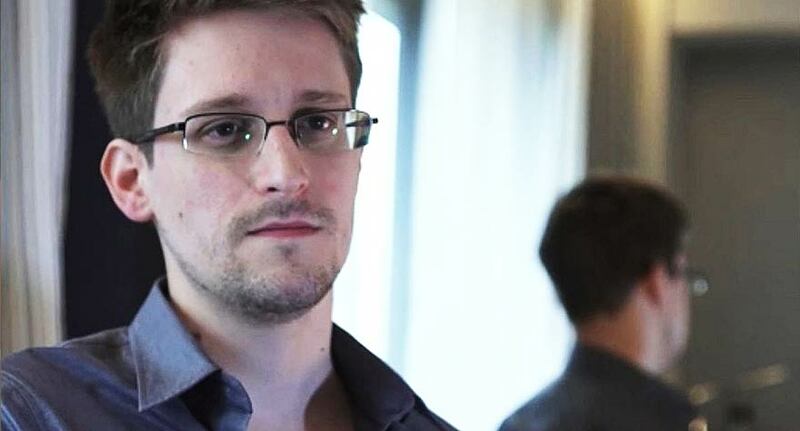 A compelling documentary which does what no one has yet achieved, humanize Edward Snowden. Starting in June 2013 Edward Snowden released, with the aid of The Guardian and the Washington Post, cables which revealed a global surveillance programme by the National Security Agency, this included the surveillance of British and American citizens. Directed by Laura Poitras Citizenfour documents the director’s relationship with the U.S. whistleblower from the beginning of their first series of cryptic correspondences to their meeting in a hotel in Hong Kong, as the NSA leaks were being published. Laura Poitras, as she clearly outlines within the film’s opening sequences, has a history of producing documentaries that have aggravated the US government. The Poitras documentary My Country My Country, which offered insight into occupied Iraq, was perhaps too insightful for the government and led it to being held on Homeland Security’s ‘Watch List’. She was therefore an appropriate target for the ominously named ‘citizenfour’ to contact, who immediately starts to describe the danger the data he is sending her will put their lives in. 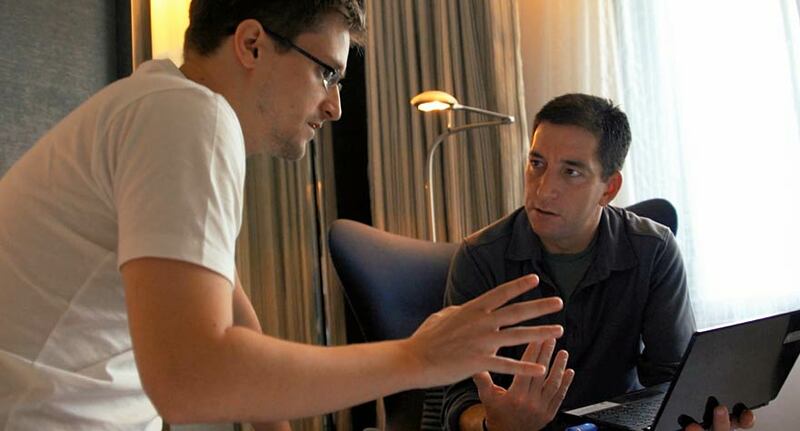 Poitras’ personal involvement with the publishing of NSA leaks injects Citizenfour with the urgency of a thriller. In an intelligent piece of filmmaking she showsSnowden’s emails being decrypted, before revealing their foreboding messages, a technique which heightens the drama of theinitial correspondence betweenPoitras and Snowden. When the messages are revealed, Poitras’ nervous reading builds to an increasing feeling of dread as ‘citizenfour’ describes an agency ‘reach’ which is ‘unlimited’ but whose ‘safeguards’ are not. The focus of the majority of the film is the period in which Poitras and two of The Guardian journalists, who published the leaks, meet ‘citizenfour’, who reveals himself to be Edward Snowden, in a hotel room in Hong Kong. This is where the film plays its hand, allowing us to revel its key selling point; being a fly on the wall at the moment when he announced his staggering revelations on the mass surveillance plan of the NSA. It’s a fascinating and captivating watch. Snowden may not have the charisma typically associated with revolutionaries, initially shy and understandably nervous, but he has a resilience and conviction in his ideals and clearly an extraordinary intelligence. This inherent likability carries the film forwards in sections, in which Citizenfour could easily have started to drag, once the initial pace of the film tails off. The intimacy of the scenes in Hong Kong allow us to see the humanity in a figure who until now has been somewhat mythical, as Snowden worries about his appearance as he checks his hair in the mirror and anxiously watches the news on the television in his hotel room. There is a distinct feeling when watching the film that this is a documentary that has been thrown together in a hurry, and Poitras does not always maintain the polish of the film’s opening sequences. This lack of polish however is part of the voyeuristic appeal of a film, which is literally shot on the run, as Snowden and Poitras, evade the ever pervading presence of the US government, who are desperate to stop any further publishing of leaked cables. Poitras, also adds a further credibility to Citizenfour by surrounding the film with insightful voices including the NSA veteran turned dissident William Binney, who worked for the NSA during and after the cold war, and since resigning in 2001 has been a vocal critic of the organisation. It is worth noting however, that Poitras has little time for those who oppose the Snowden leaks and those seeking a documentary which offers a balanced debate on whether mass surveillance is justified may be disappointed. Citizenfour is a compelling documentary, which does what no one has yet achieved, to attempt to humanize Edward Snowden, the insight however brief into the inner workings of such a complicated figure is fascinating and is a major part of the appeal of the film. Citizenfour is also an important and globally significant film, providing a record of the evidence of NSA’s widespread surveillance, which has challenged the perception of ‘freedom of speech’ in democracies in the digital age. 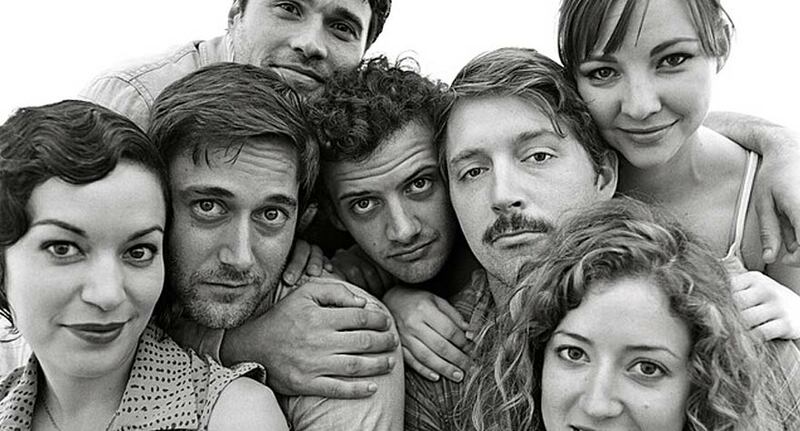 Chris Lowell's directorial debut plays with nostalgia as old friends gather for a weekend getaway.